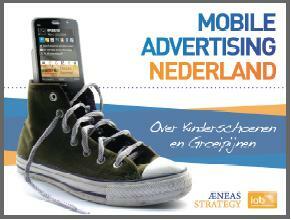 The IAB has published the results of the first comprehensive study of the mobile advertising market in the Netherlands. The research indicates that 30% of the population and 53% of the youngster (16 – 24 years) are open towards receiving advertising on their mobile phone. There are 2 important conditions for successful mobile advertising models: (i) strict control of privacy and opt-in, (ii) a clear incentive in return of receiving mobile ads. The research also indicates that advertisers are still very reluctant to push mobile marketing in the near future. Mobile operators and service providers see a lot of growth opportunities, especially linked to the increasing usage of the Mobile Internet. A presentation of the results is available on www.mobileadvertisingresearch.com. People are getting more and more addicted to mobile messaging and mobile e-mail. So much so that they put it ahead of their own health, their relationships and the welfare of others. That’s the conclusion of a study conducted by Osterman Research and commissioned by Neverfail. The texting and e-mail facilities of our mobile devices have made it possible for us to be connected in an ‘anytime, anywhere’ manner. On the downside, this has created a pressure for employees to be available, even during non-office hours. The recent economic downfall has only worsened this feeling. This leads to an addictive use of mobile messaging: 94% of respondents said they send sms messages and e-mail with their mobile during nights and weekends. 96% never leaves their phone home when going on holidays. The location and timing can lead to taking unnecessary risks: 41% messages in the plane while flying; 77% sends messages while driving a car; 79% when in the bathroom. Shockingly, 11% admits to mobile messaging while engaged in ‘intimate behavior’. Last month, one of America’s worst train crashes was caused by a train engineer who missed a red light due to being busy with text messages. How about you? 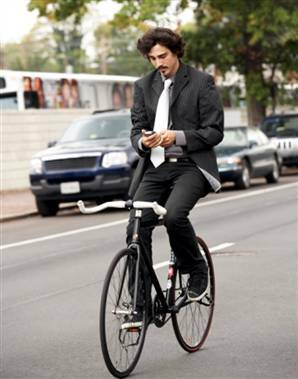 What was the worst time/place for you to send sms & mobile e-mail messages? Write a comment or vote in our poll. Research In Motion (RIM) announced the availability of the new BlackBerry Web Signals technology for the BlackBerry developer community. BlackBerry Web Signals leverages RIM’s unique push technology to allow online content providers to automatically notify BlackBerry smartphone users when relevant content has been published and to allow streamlined, one-click access to the online information. With online content services powered by BlackBerry Web Signals, BlackBerry smartphone users can spend less time searching the web and more time connecting directly to the content that matters to them personally. Content providers will offer a range of services powered by BlackBerry Web Signals that enable customers to stay connected with news, weather, sports, entertainment, financial information and more. Research In Motion (RIM) has presented their new Blackberry Storm. Most striking feature of this new mobile device is its touch screen, making the obvious comparison with rival Apple’s iPhone. 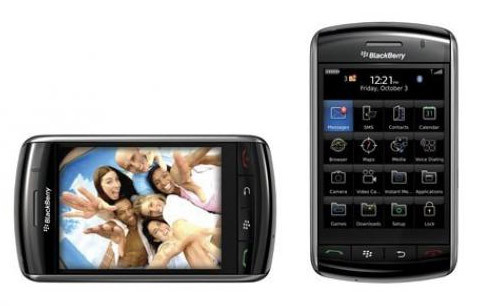 To fence of the stiff competition of other recent smartphones (think Apple iPhone, Google’s T-Mobile G1, Samsung Omnia,…), the Blackberry Storm offers a large range of high level features, including 3G, HTML web browser, 3.2 megapixel camera, video camera, media player and GPS. RIM hasn’t announced a release date yet but the Storm should become available before the Christmas holiday season. In the US, it will be linked with Verizon, while in Europe, India, Australia and New Zealand it will be available with a Vodafone subscription. Surfing on the mobile internet is becoming more and more popular in the United States. According to Bango, the use will soon surpass the level of the United Kingdom, where mobile surfing has been common for years. Apart from the UK, Spain is the only other European country that made it into the Top 10. Interesting detail: that top 10 represents worldwide almost 75% of all mobile web use; the rest is divided over 91 other countries. Mobile Web 2.0: when will the bomb explode? The Mobile Internet is on the rise, but when will the bomb explode? What are the key drivers behind the expected growth? Which business opportunities are offered by this platform? Get the answers at the 3rd Web Goes Mobile Seminar which will take place on Thursday, 4 December 2008. Subscribe now for this seminar – places are limited. » Google on Mobile: What’s next? Comments Off on Mobile Web 2.0: when will the bomb explode? Nokia and OZ Communications today announced that Nokia is to acquire OZ, a privately held company with approximately 220 employees and headquartered in Montreal, Canada. OZ, the leading consumer mobile messaging solution provider, delivers access to popular instant messaging and email services on consumer mobile devices. By acquiring OZ, Nokia will enable easy-to-use, fast access to leading instant messaging and email services, including Gmail, Hotmail, Messenger and Yahoo!. With more than 5.5 million monthly paid users, OZ’s solutions have been deployed by leading mobile operators on a wide array of mobile device platforms. The expertise and technology Nokia acquires through OZ is complementary to Nokia’s existing portfolio of messaging solutions and will provide a complete portfolio of mobile messaging solutions for Series 40 and S60 devices.